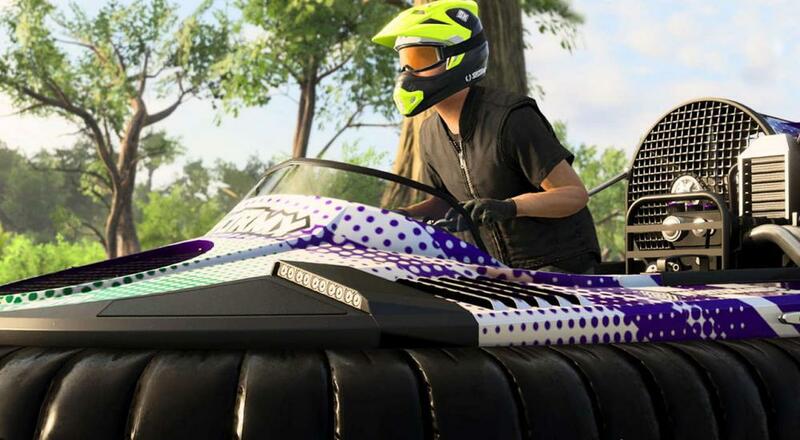 "Gator Rush" serves as the first free content update for Ubisoft's latest racing game. Crucially, it'll add the Hovercraft discipline to the game as well as three actual hovercrafts for you to careen around the map in. Alongside this, a number of in-game locations have been tweaked for the optimal hovercraft experience. The below trailer will give you a pretty solid idea of what all will be changing. Before we get to anything else, there's also a gameplay preview to whet your appetite even further. Beyond the new hovercraft content, 20 new activities will be added to the game, and players will also be able to test their mettle against the new Ace difficulty mode for a chance at some Legendary Loot. The Crew 2 has been out on Xbox One, PlayStation 4, and PC since the end of June and features online co-op for up to four players. Based on recent history, Ubisoft has garnered a pretty solid reputation of standing by their games and providing continuous content updates regardless of sales performance. As such, it's probably a safe bet to snag a copy if you're interested, as there will always be new stuff to experience throughout its life cycle. Page created in 0.6978 seconds.